Ubiquitin-binding protein that specifically recognizes and binds 'Lys-63'-linked ubiquitin. 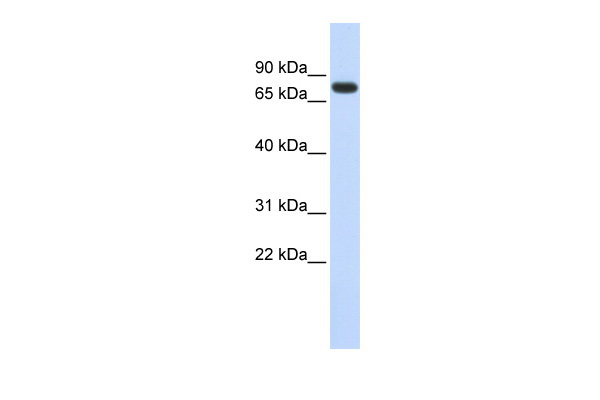 Does not bind 'Lys-48'-linked ubiquitin. Positively regulates the internalization of ligand-activated EGFR by binding to the Ub moiety of ubiquitinated EGFR at the cell membrane. Cell membrane. Late endosome. Early endosome. Note: Interaction with EGFR may enhance association with the cell membrane.